Blundell Production Equipment approached Tritec to design the control system for their second-generation CMS Series flow soldering machines. Tritec was responsible for the design of the control electronics and operating firmware for a range of machines. The system incorporated process control and display. 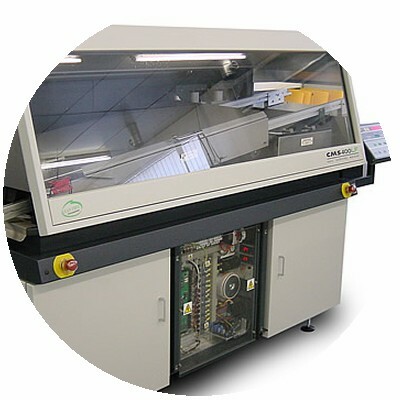 The mechanical and functional operation of the flow soldering machines was fine tuned by engineers from both Blundell and Tritec working closely together as a team. Software was developed with the intention of being easy to modify and adapt, for different machines in the range. Later developments in the product lifecycle have resulted in Tritec being commissioned to develop turnkey data-monitoring and remote control software, to run on a Windows based PC connected serially to a machine.